Bill Pearl is a creative and dedicated bodybuilding superstar who has learned how to create a bit more from an already-great physique. 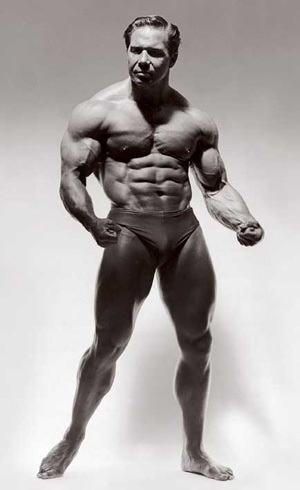 At nearly 73 years of age, he continues to live the bodybuilding and fitness lifestyle. Bill merits respect for his personal way of life, not only for his physical excellence, but for his fine mind and well-rounded personality as well. He is universally admired by those who know him and is genuinely modest and sincere in every way. His solid rugged-looking physique can be appreciated by the average man and woman on the street, and that's a rarity today. 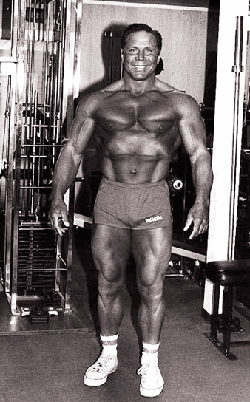 He is definitely a legend and an inspiration to all who admire a powerful muscular physique. 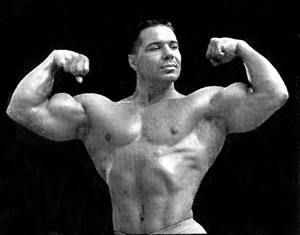 Bodybuilders the world over would do well to emulate Bill Pearl. The following supernutrition strategies are compiled from group seminars that he conducted in Virginia Beach, Virginia, and Atlanta Georgia, back in the 1980s. Q. When you're in training for a contest such as your last one in 1971, or, say, for an exhibition, what does your diet consist of? BP. My morning and afternoon meals will almost be all eggs and some fresh fruit and raw vegetables. Most of the fat that is found in an egg is in the yolk, so my wife will scramble 6 or 7 eggs in a Teflon pan and, while doing it, would take out 4 of the 7 yolks. So, to keep the fat content down, we will keep backing off the yolks. For my evening meal I will have some type of meat substitute and fresh vegetables and maybe some cooked vegetables and some type of fruit like cantaloupe, watermelon, or honeydew. Q. So by backing off the yolks in eggs, you didn't have any problems with your cholesterol, did you? BP. No! I found out,and the reason I became a lacto-ovo-vegetarian, where Judy [wife] and I eat all plant foods plus dairy products and eggs, because my cholesterol levels had gotten so high, it ran through my veins just about like syrup. Back about 25 years ago, when I was 35 years old, I used to work for North American Rockwell in the aerospace program. It was my job as a consultant to keep the astronauts in good shape for their upcoming flights into space. The company used to hold me up as an example. You know, everybody's got to look like ol' Pearl. I had a blood test done one day, and the company doctor called me into his office and said, "Bill, do you have a family doctor?" I said "Yes, I have a family doctor," and he said, "I strongly suggest you see this man and he puts you in the hospital." I said "You've got to be kidding, doc," and he said, "No, Bill, if you were my patient, I'd actually put you in the hospital." He said that my uric acid, blood pressure, and triglycerides were so high that I was a prime candidate for a heart attack! So I went to my family doctor, who is a Seventh Day Adventist and whom I had a tremendous amount of respect for. He started watching my diet and advised me to get the red meat out of it. I kept backing off and backing off 'til I finally got away from red meat all together. Liver and milk were also taken out of my diet, and that's how I became a lacto-ovo-vegetarian. I've been eating this way now for the past 25 years, and I never deviate from this; but I am not here to preach this stuff, and I am not trying to change everybody's philosophy or eating habits. It's just what seems to work best for me." Q. Bill, you say you don't eat red meats. 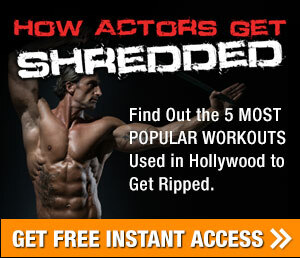 Do you think you could've won a Mr. Universe contest if you didn't eat red meats?" BP. Well, the last two Universe contests I won were done without eating red meat. Think of it this way. If you feel the secret to bodybuilding is how much red meat you can consume every day, don't you think the smart thing to do is put down 2 or 3 pounds of that stuff on a regular basis? You�d be bigger than anyone walking the streets. So meat is no more than another substance to put in your body, and what little bit of protein and carbohydrates and minerals that are there, your body will extract it and use it like any other food. Meat is definitely not the secret to bodybuilding. Q. Did you ever have problems with your shoulder, elbow, and knee joints when you ate red meats? BP. Yes, I did, and that is another reason I got off the red meats and became a lacto-ovo-vegetarian. 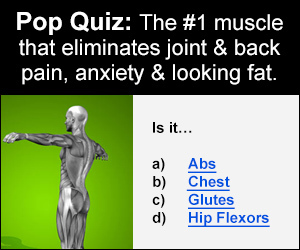 When I changed my diet over, I had less and less joint problems. All the poisons found in your system such as uric acid . . . is going to be stored in the joints of the body if it can't be expelled through the kidneys or liver. I think you'll have less and less joint problems the longer you are off red meats, especially gland meats. I am really against organ meats such as liver. I think it is one of the worst foods you can consume, in my opinion. Q. Can you tell us some of your secrets you use for getting rid of excess body fat just before a contest or exhibition? Do you use different fat burners? BP. I don't take fat burners, because the fat burners that are selling on the market today have nothing to do with burning adipose tissue. The fat burners only burn the fat that is in the blood that causes arteriosclerosis [hardening of the arteries] and has nothing to do with burning adipose tissue. There is no such animal. You can't take a pill that's going to burn body fat unless it's some type of thyroid. The only health food products I take are vitamin C, at 1000 milligrams per day, which is spread out during the day because it is a water-based vitamin, and if you took it all in the morning, by the time you went to the bathroom, the rest of it would go down the toilet. I also take a good multi-B complex vitamin and some E.
I might take a protein food supplement if I'm on the road and not getting enough protein, and when I do, I eliminate as much animal fat and as much vegetable fat from my diet as I possibly can. Things like margarine, salad dressings. I back off all I can from refined sugars, no canned foods, no ketchup, no pastries. I eat a lot of complex carbohydrates, which comes from fresh fruits and vegetables, raw nuts, whole grains, and very small amounts of low-fat dairy products, and that's it. Q.You just mentioned that you take a good protein food supplement. What is the best type of protein a person can take, and how many grams should be taken per pound of a person's muscle bodyweight? BP. The best type of protein a person can ingest is a milk-and-egg protein concentrate. The protein efficiency ratio [PER] in milk and eggs is the highest you can possibly get other than eggs itself, and the protein efficiency is just about like mother's milk, so it's just about the best concentrate you can consume. I don't mean that you should go out and drink a gallon of milk and eat a ton of eggs. The manufactures of milk and egg protein concentrates have already extracted the protein and the amino acids from the milk and mixed it with the protein powder from eggs and so on. They came up with a real good product where there is zero fat in it almost all together. Regarding your question about the grams of protein per pound of muscle bodyweight. I have done studies on this, and I've read more on protein than you can shake a stick at. If you're consuming 1/2 gram of protein per pound of muscle bodyweight regardless of how hard you train, that's all you need for repair and muscle growth; that's it. Any more than that will either be stored as fat or you can consume it as fuel. So if a person is taking 400 or 500 grams of protein a day, they're wasting their money and would be better off eating Hershey's candy bars, because they can be digested quicker. Q. The evening before a physique contest, do you think it is wise to use any kind of diuretic, natural or otherwise? BP.I think if a bodybuilder is carrying a lot of water weight and so on and wanted to back off the water weight, some form of natural diuretic would probably be all right. But if you're not careful and you take too much, you're going to defeat yourself by knocking your balance of electrolytes off so badly that you will cramp up and lose muscle size as well. Be sure to take a good, natural mineral substance. Q. What are your thoughts about anabolic steroids? BP. I don't think a person who takes anabolic steroids is an immoral person. I think it's a matter of choice. If you want to subject your body to that type of abuse, then be my guest. I think any time that you're putting some foreign substance in your body, you're going to have to pay the price. Q. Have any of the top physique men you know to have taken anabolic steroids had any serious side effects? BP. Yes! There was a former Mr. America who passed away from the effects of anabolic steroid use. There have been numerous other physique stars who have quit the sport of bodybuilding because of it. I think if anabolic steroids were taken under a doctor's supervision and taken as they were prescribed, then there may be a place in the sport for the drug itself. I'm opposed to the abuse of it. I was in Portland, Oregon, a few years ago on a lecture tour, and I was shocked to learn that many of the younger physique contestants were taking more steroids for the amateur Mr. Oregon than many of the top physique stars take prior to entering a national show. The sad fact was that 99% of these younger guys had absolutely no potential in the sport at all. Q. Have you ever taken steroids? BP. Yes, I have taken steroids. I would not take them in this stage of my life, but I got caught up in this thing like everybody else did. Q. Did you ever take them for a contest, or have you taken them all along? BP. Oh, no! I've only taken them for a short period of time back in 1967, for a 6-8 week period under a doctor's supervision like I'm telling you. I got off of it after that, and I have never touched them since, because I could see that it was just something that didn't make me feel good about myself, and I said I'll get out of the sport and I'll quit training all together if that's what I've got to subject myself to, to stay in it. Q. If a bodybuilder wants to stay in the sport and train naturally, can you give them some ways to improve their testosterone levels more naturally? BP. If a person could do this and he could become more manly, his chance for muscular growth in the sport of bodybuilding would be a great deal better. I think the more masculine you are, the more massive you can become, can be through diet more than anything else. Q. 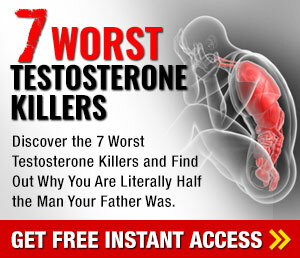 Will the numerous supplements like glandulars and all the others be worth a try for increasing testosterone levels more naturally? BP. If you took all the glandular tablets by the bottle full or any of the other numerous supplements, it wouldn't do the job for you. It might help a teeny bit, but you have to realize that, if these supplements did a great deal for you, they'd be under a prescription like anabolic steroids and have to be bought through the FDA. Q.You mentioned earlier some of the health food products you take, and it doesn't seem like a lot when comparing it to the megadosages that many bodybuilders take from day to day. What gives? BP. Regarding the issue on health food products, I make my living selling health foods. Believe me, that's how I make my living. I have 69 or so products that I sell, and any time I see, let's say, a vitamin 1000% higher than the RDA or even 500% higher than that, and down the line. If a person asks me about such a product and its worth, I will tell them they are just wasting 99% of their money. Your body is so used to taking such a small amount of vitamins and minerals out of your foods and if you had a proper diet which included whole good, fertile eggs, tremendous amounts of fresh fruits and vegetables, baked potatoes and brown rice and other high-fiber types of foods, in many cases you might not need extra vitamins and minerals at all. When you commence to take vitamin and mineral supplements 500 to 1000 percent over the RDA, do you realize that your body stops even digesting them from your foods whatsoever? It doesn't have to. Then, if you quit the vitamin and mineral regimen for some reason, you get tired, sick, feel lousy. Why not? Your body has totally shut off its capability of processing the vitamins and minerals from your foods for a period of time. If you smoke heavy and need more vitamin C or are under heavy stress, then more B-6 are good reasons why you should take more, but not a thousand times more than your daily requirements. Don't get caught up in the high megadosage products. Q. You just mentioned that, if a person had a proper diet, vitamin and mineral supplements might not even be needed. How many calories a day would a person have to eat to be sure of getting the right amount of vitamins and minerals? BP. Allowing for the loss of nutrients that occurs during storage, processing, or food preparation, in their raw state, most men can't get by on less than 2200 calories, and women need 1500 calories just to get the vitamins and mineral nutrition they need from day to day. That's why those 1000 calorie diets don't work. The best way to go is to increase your daily activity so it burns more calories, and that way you can eat more of the vitamin and mineral packed foods. Q. What about eating loads of brown rice? BP. The amazing thing about brown rice is that you could have it at every meal and actually lose weight. You can have 10 bowls of rice, because it is so high in fiber and so difficult for your body to break down, it takes more calories for digestion than is found in the rice itself. Q. Many of the top bodybuilders, aside from you and a few others who eat optimally, put many things in their mouths that seem counterproductive to long-term health, but they look great and will even tell you that they feel like a million bucks most of the time. Are they being totally honest with us? BP. To show you how the body works, I use the following example all the time. If you were to go to a doctor and were going to get an immunity for polio, the doctor would take a small amount of polio vaccine and put it on a sugar cube. You ingest it, and he will tell you to come back in 7 years and get another dose. So, for the next 7 years, you are safe. No more polio. Use this as an example of how long it took your body to rid itself of just one small drop of the polio vaccine. It took your body 7 years! So, if you are loading up on anabolic steroids, you're loading up on uppers and downers, you're loading up on Coca Cola, you're loading up on white flour and sugar and so on, all the toxins from these things have to be processed in the same way, and you still train with weights. How in your right mind can you think you are living a happy and healthy life? It has to be a whole process or it won't work. I had a guy walk into my gym one time. He was about 54 or 55 years of age. I said, "Yow are you doing?" and he said, "Bill, I'm doing just fine. I just got a haircut and I'm going to take my wife out tonight. I have never felt better in my life." The guy then walked two steps over to get his workout card and dropped dead of a heart attack, BAM, just like that! I have 5 medical doctors working out in the gym, and we all pumped on this guy 'til our eyes popped out. What does this say? It means that health is a state of mind. He thought in his mind he was health. The guy was so sick, two seconds later he was dead. The amazing part which I'll never forget on this deal -- when the guy dropped, I called the coroner. They said, don't touch him, leave him where he is, we'll come out and get him. He's laying right by the workout card rack. I go to the massage room and get a sheet and throw it over the dude, see. I'll bet you a hundred people came into the gym, walked over and got their workout cards, and stepped over that guy. There was not one person who asked me, "Hey, Bill, what's under that sheet?" They just didn't want to know. That's about all the questions I have time to answer. Thanks a lot, everybody. Chuck who? The late Chuck Sipes was an IFBB Mr. America, Mr. Universe, and Mr. World winner, and Mr. Olympia competitor back in the 1960s. The Chuck Sipes Super-Seminar report reveals in his own words how he prepared for and won the 1968 IFBB Mr. World title. You will marvel as Chuck explains his revolutionary training and nutritional philosophies that allowed him to obtain his best gains ever in titanic size, shape, and brazen muscularity.